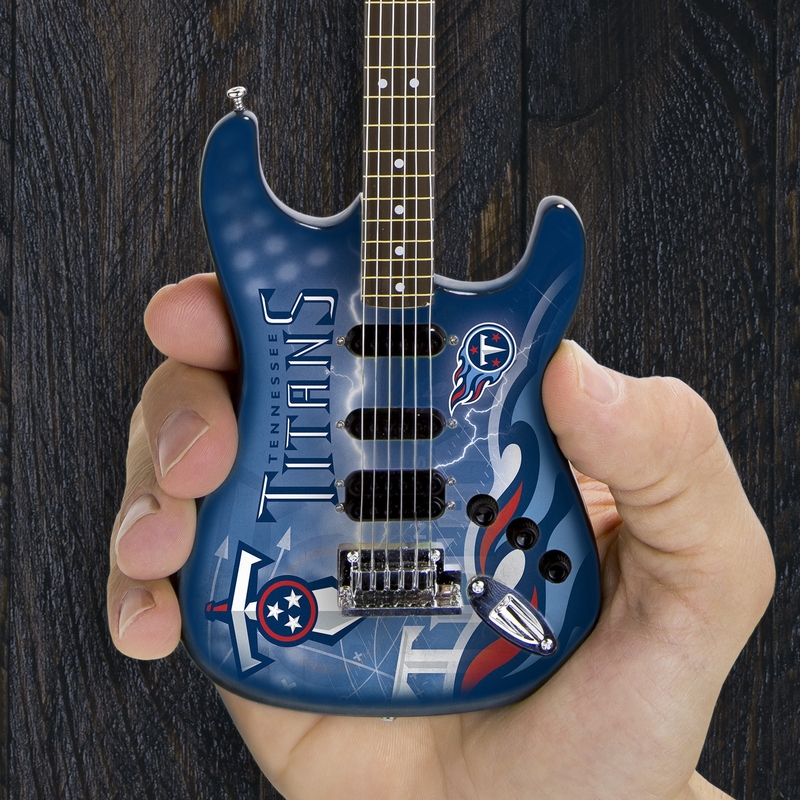 Score major fan points with the Tennessee Titans Mini NorthEnder Guitar by Woodrow. As an Nfl officially-licensed item, each guitar is designed with iconic Tennessee Titans colors, team logos, mascot, and vibrant graphics. 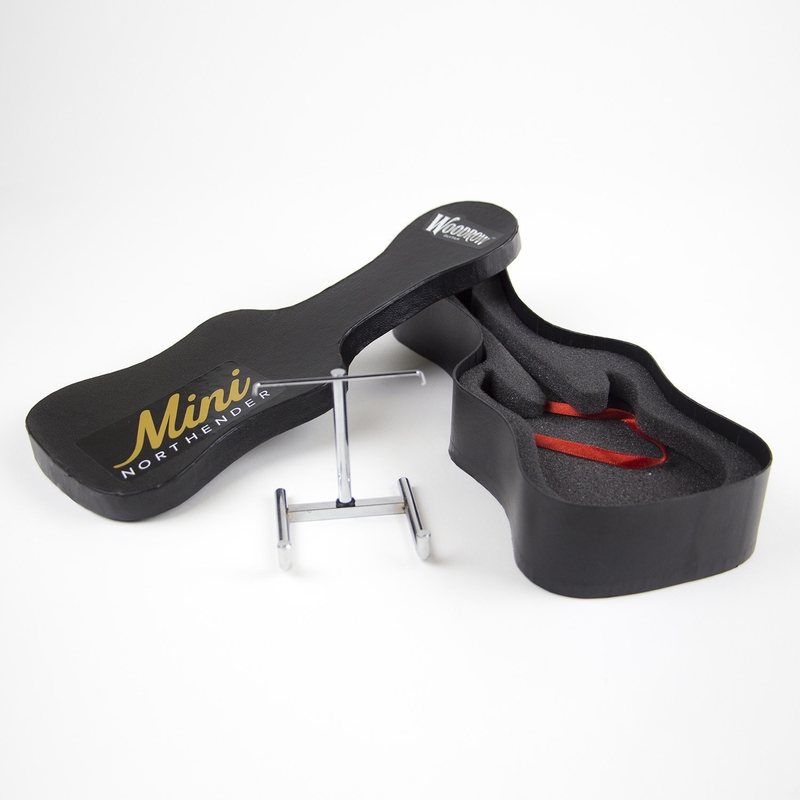 All miniature guitars are shipped with a complimentary collector's box and a guitar stand. 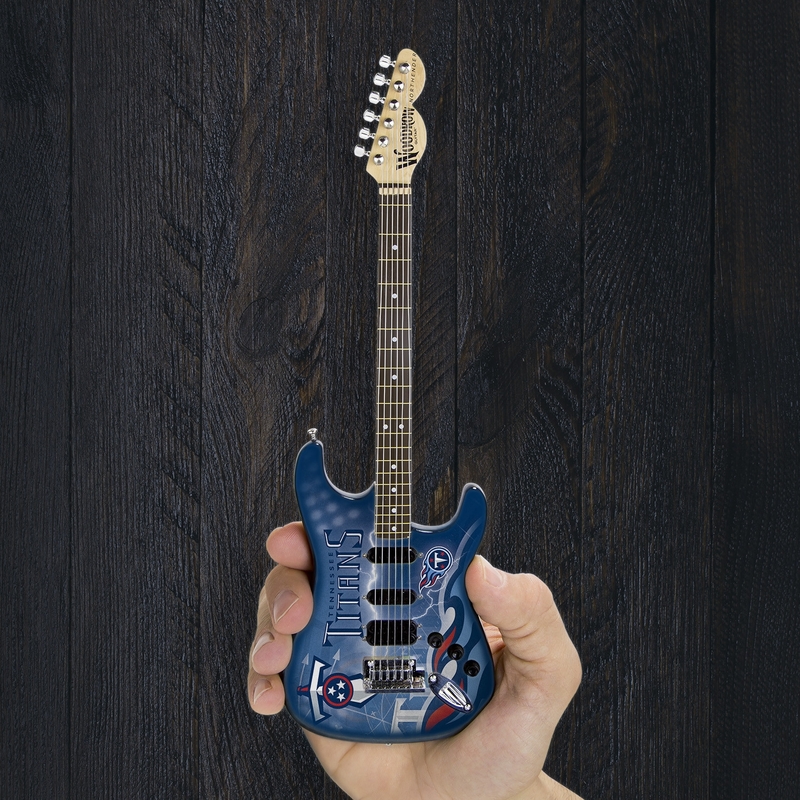 This miniature guitar is 10" tall and crafted from stylish wood and metal, which makes it an mirror replica of the standard Woodrow NorthEnder Electric Guitar. 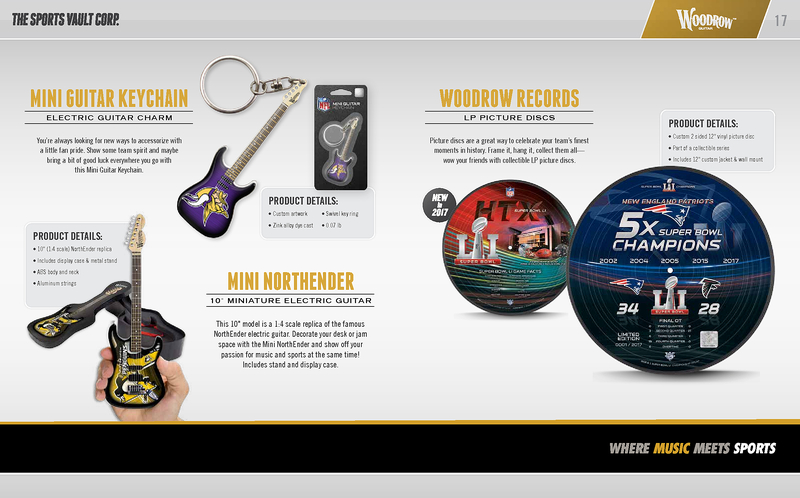 Whether you're searching for the perfect gift for a Titans fan or looking for the ideal desk accessory, the Tennessee Titans Mini NorthEnder Guitar will meet your needs and exceed your expectations. 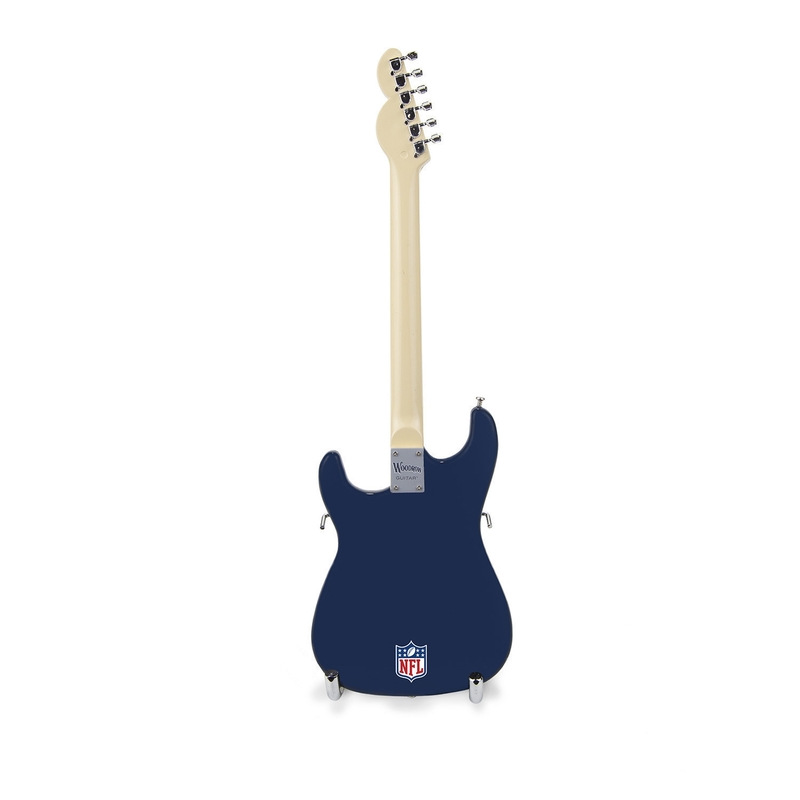 Go the distance for the score and order the Tennessee Titans Mini NorthEnder Guitar today.